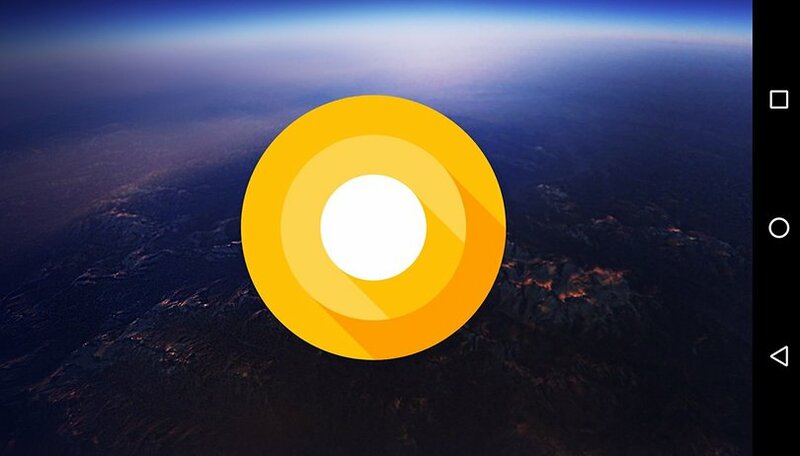 The second Android O Developer Preview can already be installed on the Google Pixel and 2015 Nexus devices. In particular, the design of the latest Pixel Launcher has impressed some fans. The Android O Launcher is available as an APK file, so those with older phones can try it out. And now, the Pixel Launcher is available for those without rooted phones. If your (non-Pixel) Android phone isn't rooted, you are now finally able to get the Pixel Launcher. A developer on Reddit, AmirZ, was able to create an APK for it based on AOSP Launcher 3. With this launcher APK, you can get the unique weather and time widget and the 'G' pill of the Pixel Launcher, plus Google Now. To download it, go to this post on Reddit and find the latest version to download straight from GitHub (currently called "Pixel-v1.2"). Make sure you've allowed your phone to install apps from unknown sources, then install it. Presto! If you're stuck with a phone running Android 6.0 Marshmallow, but you're dying for the Android O experience, you can get the version of the Pixel Launcher that came with the Android O Developer Preview. The XDA Developers community is one of the most effective when it comes to providing Android smartphones with new features. Occasionally, certain software elements are made available which are intended exclusively for a particular smartphone or a software version. This is exactly what happened with the Pixel Launcher for Android O. You can use a so-called "backport" to install the aforementioned launcher, as it is now available in the XDA Developers forum. The only requirement is that your phone has Android 6.0.1 or later and you've enabled the option to install apps from unknown sources. The APK file can be downloaded from the main post in this thread. Install the APK file with Android Installer and then press the home button. The backport of the Android O version of the Pixel Launcher has been outstanding. We tested it with an Android 7.1.2 device. In the latest update of the launcher since the Android O public beta was released, new app shortcuts were added. By doing a long press on app icons on the home screen, we were able to get the context menus to pop up. From there you can grab these app shortcuts from the menu and drag them to your start screen or to a folder, so you can access a particular function in an app or quickly start a chat with a favorite contact from the new shortcut. The app drawer has a physically animated arrow. If you drag the list up, the arrow will show a straight arrow pointing upwards and vice versa. The wings of the arrow appear to move somewhat sluggishly, which is a beautiful detail. Another new app shortcut is for quick access to the list of widgets for an app. If you think about it, the launcher developers could have come up with this idea earlier. Searching for widgets was sometimes so complicated that only you could only find out what widgets an app offers by stumbling upon it when scrolling through the long list. Now, widgets are more actively pointed out. In the options, you can activate the Google button if the Google app is installed. Notification dots still don't work unless you have a true Android O smartphone, as older Android versions still lack the necessary programming interface. To change the background wallpaper in the launcher menu, you need Google's app, but that's no problem, as it's available in the Play Store. Just install the Google Wallpapers app to get nifty wallpapers from the online catalog that change automatically. Do you like the new look of the home screen, app drawer and navigation bar? Let us know in the comments. This is why I love Android Pit for the heads up on stuff like this. Now I have a flawless, perfectly working Google Pixel launcher on my Galaxy S6 running Nougat. I even have the Google Now panel just a swipe away on the left screen. I'm very happy, still soften through everything. Launchers and Android updates are two different things absolutely. An update changes the whole system and working mode of your phone which is reflected in certain things that you can detect while using the phone and certain things that are not so direct but ultimately affect the end-user experience. A launcher, on the other hand, only changes external appearances. Which is definitely important, but cannot be compared with a system update in sheer depth. Hence, if you want Android O, wait for the update. Don't mess around with launchers, Pixel or not. Lastly, I cannot fathom why someone would be hankering after Android O when it's hardly properly known what it offers.